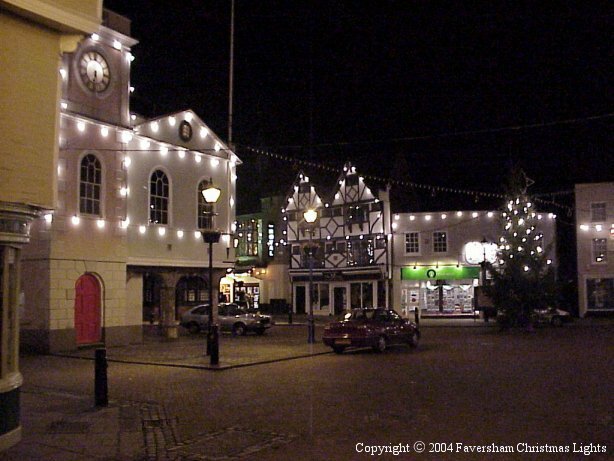 In 1983 the then Mayor of Faversham called a public meeting to see if there was sufficient interest from willing volunteers to provide Christmas Lights for the town. Though few in number but enthusiastic, those who attended immediately agreed to form a committee and Faversham Community Christmas Lights began. Today two of the founding members are still with the committee and while the group remains small they are all as dedicated as when it began. Every committee member helps out in a practical way be it fundraising, providing goods & produce which can be sold or the physical erection & dismantling of the display - and in many cases they do all three! There is then a wider circle of people who although not committee members give up a great deal of their own time to support the Christmas Lights each year in various practical ways. 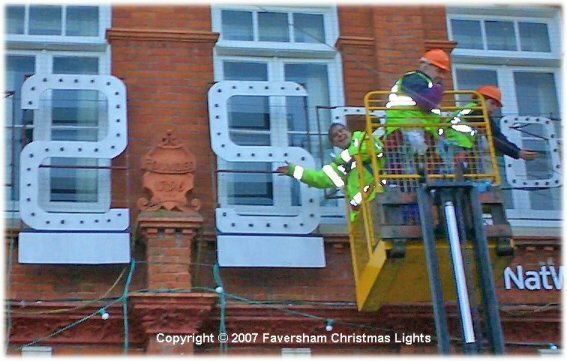 In 2003 the committee celebrated by giving the town their 21st successive festive display! How many other voluntary organisations like ours can boast such a long period of uninterrupted and consistent service within their community? The switch-on and subsequent display throughout December and into January is an integral part of Faversham life and enjoyed by the thousands of residents and visitors who come into the town each year. On 8th February 2004 the committee, family and friends met for Sunday lunch to mark the achievement of the past twenty one years and to enjoy the 'birthday cake' generously provided by a committee member. Soon after our 21st display planning began for our next milestone, our Silver Jubilee! We invested in many new features for the town, most notably in the market square and on the Alexander Centre. A commemorative calendar was also produced. On Saturday 24th November we switched on our best display yet, and for the first time ever we had 'snow' for the ceremony.